Today the Federal Reserve announced the appointment of Sean Rodriguez as the new Faster Payments Strategy Leader. Sean, a senior vice president at the Federal Reserve Bank of Chicago, will be tasked with leading activities aimed at identifying effective approaches for implementing a safe, ubiquitous, faster payments capability in the United States. In addition, he will also serve as chair of the Faster Payments Task Force and its 300+ members. 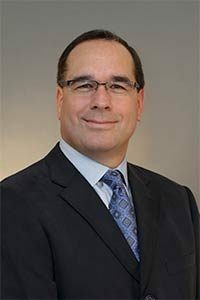 “Sean’s leadership experience across payment operations, customer relations and industry outreach is exactly what we need to successfully advance the vision for a faster payments capability in the United States,” said Gordon Werkema, the Federal Reserve’s payments strategy director to whom Rodriguez will report. Any advice or questions for the new Faster Payments Strategy Leader? Please share in the comments!